Expand search to view more listings in and around Raleigh. 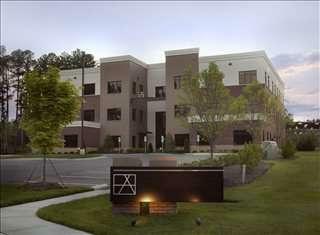 See more offices in and around Raleigh. We have executive office buildings in Raleigh, North Carolina in prime business locations, which we can offer on an easy move-in, move-out basis providing your company the flexibility and affordable rental costs you need to get up and running in Raleigh. Known as the City of Oaks due to the large number of oak trees that line streets in the heart of downtown, Raleigh is the capital of North Carolina. One of the fastest-growing urban centres in the United States, the city is named after Roanoke Colony founder Sir Walter Raleigh. The city is home to North Carolina State University, which forms part of the Research Triangle with Duke University in Durham and the University of North Carolina at Chapel Hill. 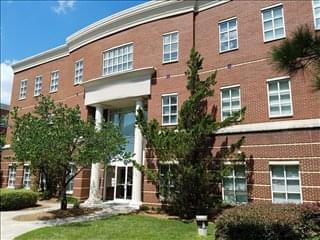 Focused on high-tech and biotech innovation as well as advanced textile development, the Research Triangle is one of the largest and most successful research clusters. Major attractions in the city include the Duke Energy Center for the Performing Arts, the State Capitol, and the North Carolina Museum of Art. 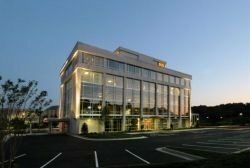 Offices.net offers businesses of all size the simplest, fastest and easiest way to secure professional office space in Raleigh, North Carolina. 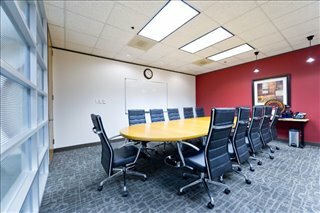 Many of our executive office suites and office space come with an extensive range of services included, and flexible rental agreements that are made to suit you. We try our best to ensure that the entire process is as easy as possible for our clients. 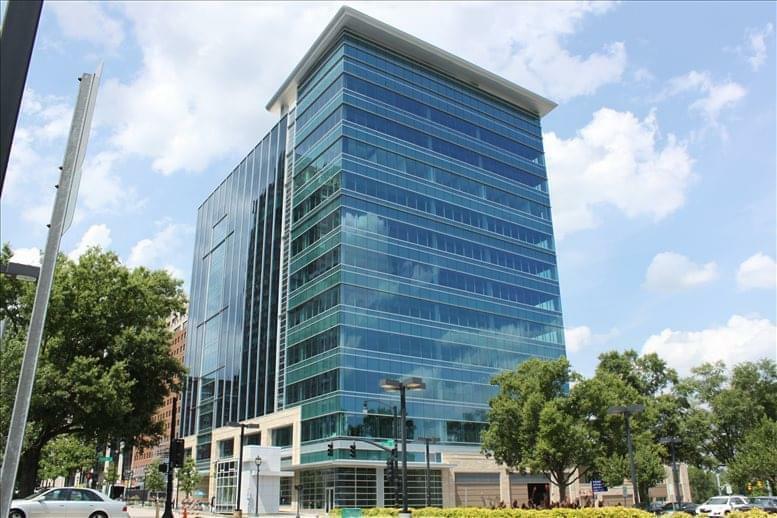 Downtown Raleigh has approximately 4.5 million square feet of space, and the remaining inventory is divided across several suburban sub-markets, including RTP, Cary, Falls of Neuse Road, Glenwood / Creedmoor, I-40, and West Raleigh. 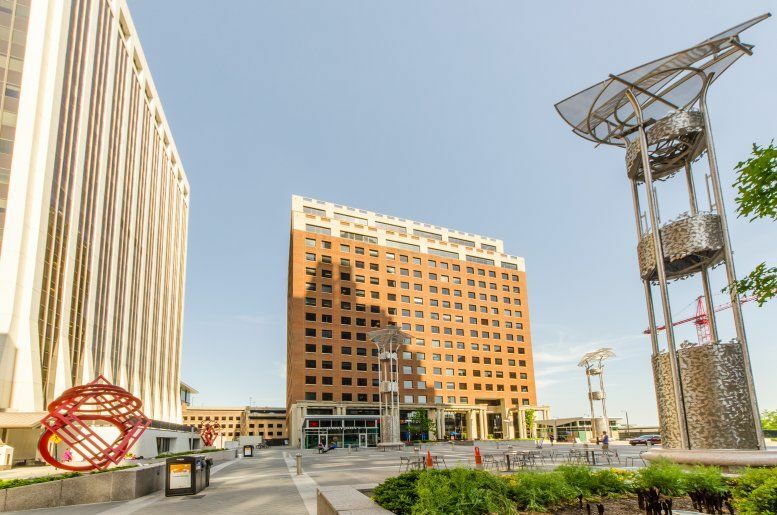 The downtown area is a popular option among businesses involved in technology, digital, and creative activities, who usually have a higher budget and stronger spending power. 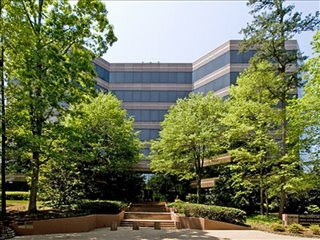 Raleigh Office Parks: Raleigh offers a wide range of accommodation in research parks, the most well-known of which is the Research Triangle Park. This facility enjoys prestige at international level and provides space to more than 200 global businesses ranging from healthcare institutions to banks, pharma companies, and agribusinesses. 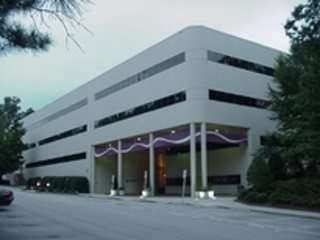 Other office parks offering specialized office space near Raleigh include Centennial Campus, which is part of North Carolina State University and contains 4 million square feet of prime quality office space, and Southport Business Park, located half-way between Raleigh and Durham. Average Rental Rates: Average asking rents range from $26 to $40 / sq ft / year and above for Class A space, although older properties and those in the southern suburbs can be leased for as little as $14 / sq ft / year (2016 - 2017 data). 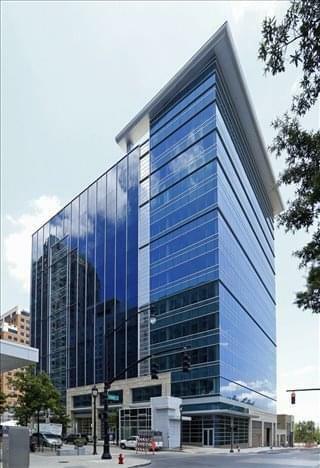 The Wake County Economic Development Office maintains an up-to-date list of office properties in the area. Market Outlook & New Development: The outlook is marked by strong investor confidence, which in turn is fueled by ongoing job creation and the strength of the local STEM sector. In mid 2017, new office developments were under construction in virtually every Raleigh sub-market, and despite the new supply expected to come into the market, conditions are likely to tighten as Raleigh offices soar in popularity and demand. 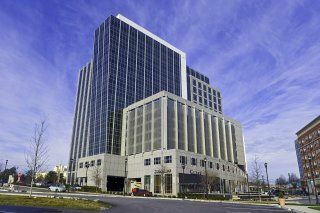 Numerous office buildings offer offices that are fully furnished and equipped, making setting up a very simple process. 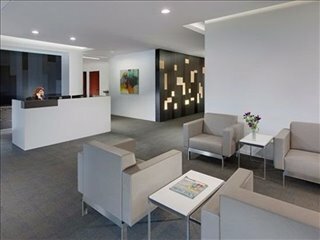 Some of the serviced offices can be configured to meet the needs of your company. Some office providers will tailor the space for you and permit you to decorate, giving you more control over your team culture and branding. 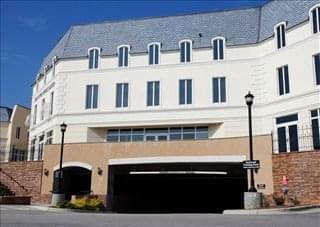 Simply choose one of the Raleigh offices for rent listed above. 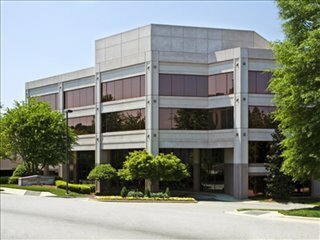 All of the office space and business premises are available on temporary rental terms to suit your needs and are located in prime Raleigh business positions. 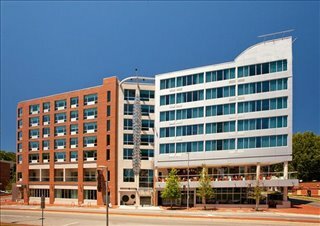 North Carolina's capital city is a large urban center with a metropolitan population of approximately 1 million people and a dynamic economy that supports more than 500,000 jobs. The creation of the so-called Research Triangle (which also encompasses the city of Durham) contributed greatly to the development of the local economy. 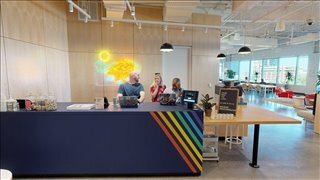 This area supports the creation of nearly 70 percent of all new jobs in North Carolina, and has brought leading technology firms to the city. Other important industry clusters are banking, finance, pharmaceuticals, advanced manufacturing, life sciences, and cleantech. Largest Employers: Government bodies like the State of North Carolina and the City of Raleigh, but also private sector corporations and multinationals like IBM, Cisco, Rex Healthcare, GlaxoSmithKline, Wells Fargo, Fidelity Investments, Verizon, RTI International, and Walmart. Labor Market: Local graduates known for having excellent educational credentials, since the institutions located within the Research Triangle produce the highest number of PhDs, and more than 35 percent of all Raleigh graduates have qualifications in a STEM field. Other large occupational groups where there is no shortage of talent include management, business and financial operations, education and training, healthcare, sales, office and admin support. 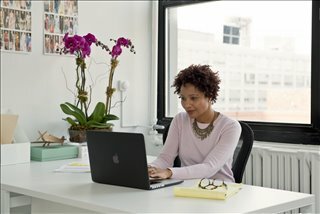 Business Benefits & Support: The main perks of setting up a business in Raleigh is that it is a tech-rich environment with access to talent and a low cost of doing business. Strong business community that enjoys a variety of support initiatives from dedicated organizations, such as the Association for Corporate Growth, the Council for Entrepreneurial Development, MCNC, the Research Triangle Institute, and the Small Business and Technology Development Center. Simply contact us using the number or form above and we'll be happy to give you some locations in and around Raleigh.